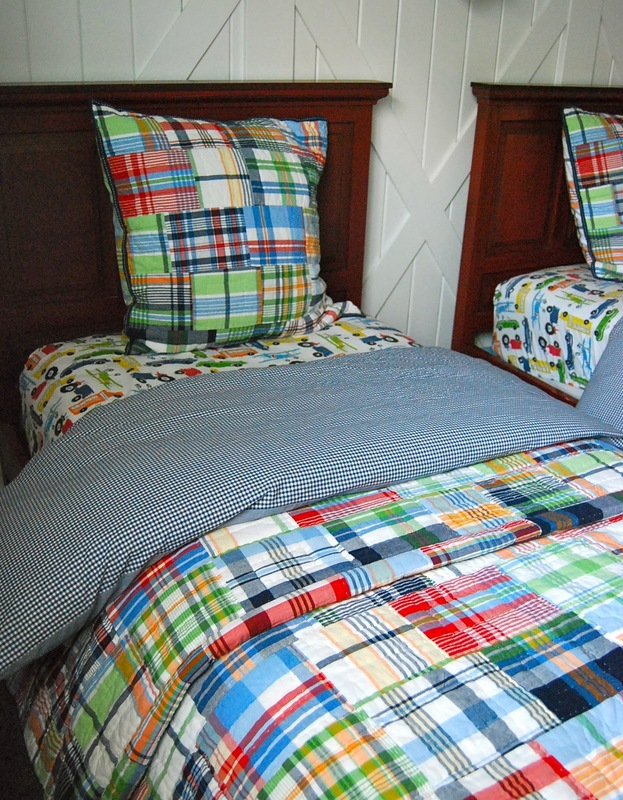 But...I couldn't expect my kids to have a daunting task of making their beds if the process was too difficult. So their beds are a bit more simplified, though they still have a GREAT store window look to them! fold it, knot it in a ball... I don't care what my kids do with this sheet as long as I can't see it! Just throw the entire duvet at the top of the Bed! Simple as that! Last Step...Fold the duvet over on top! It's as easy as that! What I like about this bed ensemble is that my boys, for some odd reason, like to cuddle right there at the top the bedding. So in the morning it's just a matter of smoothing out the duvet. 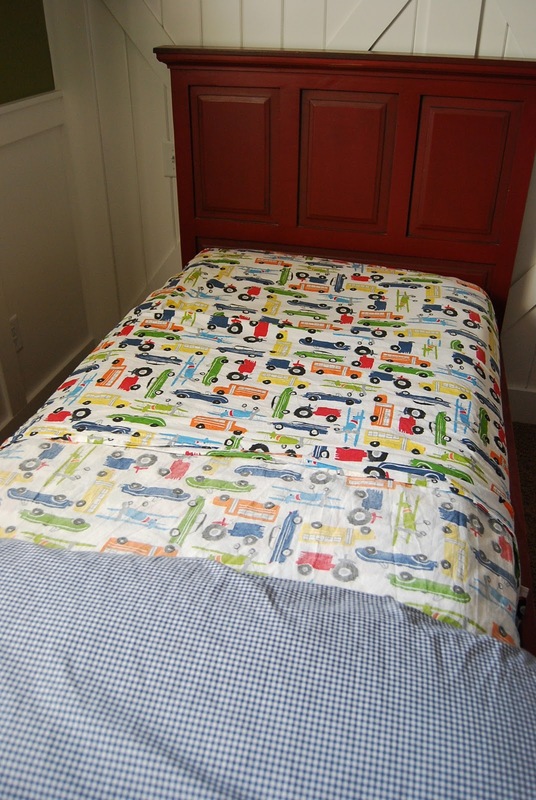 You might think this bed is a little technical for little ones, but Brock at age 6 has mastered it. I think kids can do more than we even realize. I am still wanting to add one more decorative pillow to these beds, I just haven't found the PERFECT one yet! I agree about kids making their own bed. My kids are in charge and they do it quite well. Cute bedding. They have a cute room and I love their bedding. Very cute! I am working on the bed making with my 5 year old. Like you, I want his bed to look simple and clean, without being too complicated. I love your boys room. You struck the perfect balance between fun and sophisticated.